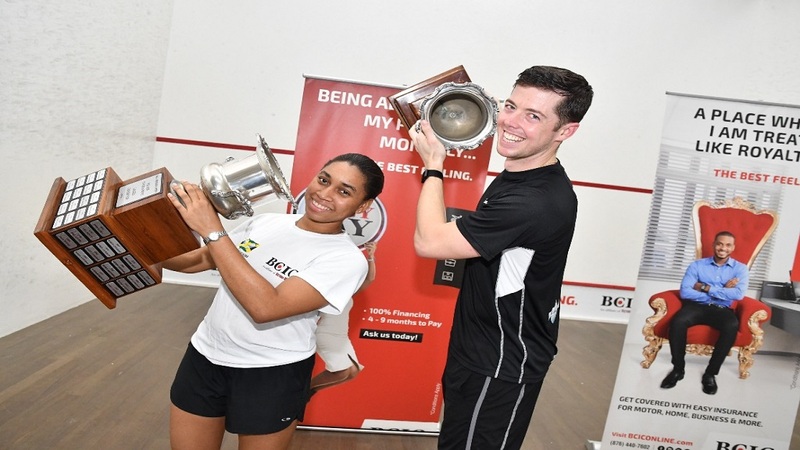 Newly crowned age group champions display their trophies after the awards ceremony of the 2019 All Jamaica Junior Squash Championships at the Liguanea Club in New Kingston from March 14 – 16, 2019. 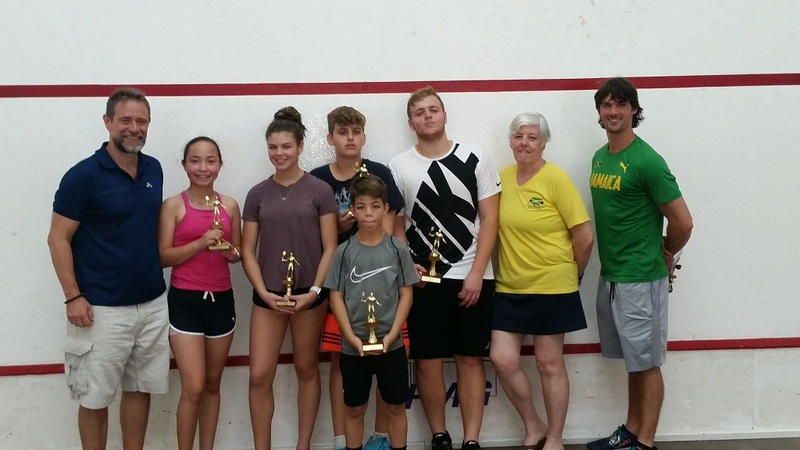 It was a sibling success story with Lucas and Savannah Thomson as well as Tobias and Sebastian Levy winning age group titles as the All Jamaica Junior Squash Championships wrapped up over the weekend at the Liguanea Club in Kingston. 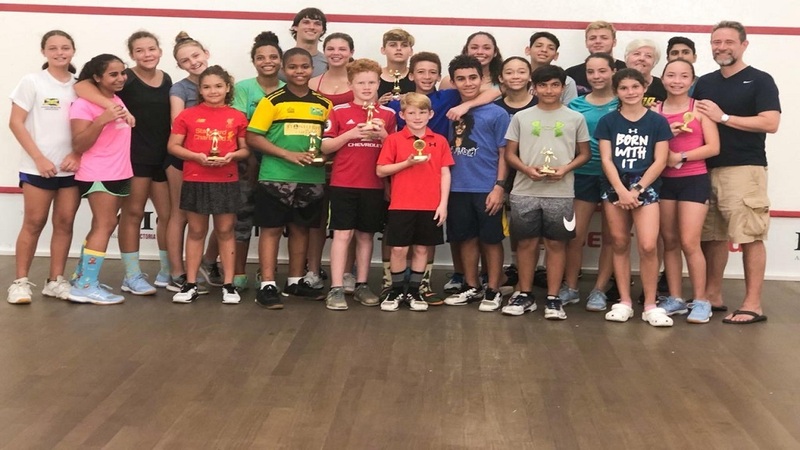 Under pressure to retain his Boys' Under 15 title, Tobias Levy dug deep to fight off a serious challenge from the improving Rhys Greenland. Levy went the distance to post an 11/8, 4/11, 11/8, 7/11, 11/7 win to keep his new rival at bay and claim his sixth national title. 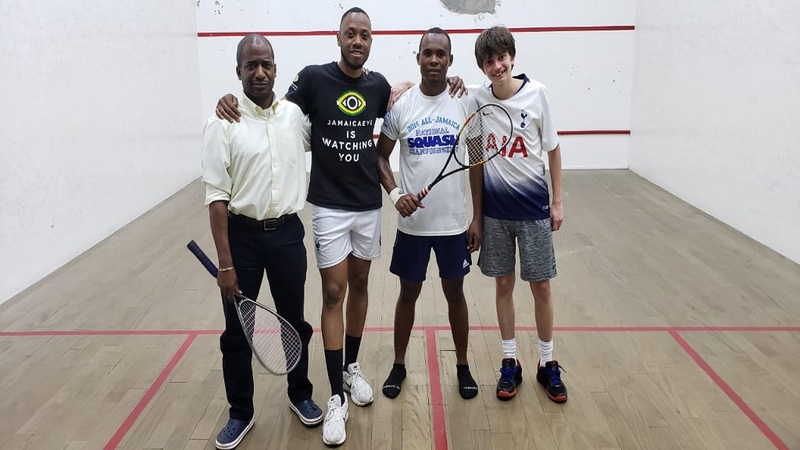 Former Under 15 champion Sebastian Levy overpowered Alexander Desnoes 14/12, 14/12, 11/3 to once again lift an All Jamaica trophy, this time for the Under 17 title. The in-form Lukas Thomson, who won both the national and regional Under 13 titles last year, maintained his dominance despite moving into a higher age group. The promising youngster beat Lek Drummond 11/3, 11/2, 11/0 to claim his first Under 13 crown. Similar progress was made by Savannah Thomson who was All Jamaica and Caribbean Under 13 girls' champion in 2018. Thomson beat Mia Todd 12/10, 11/7, 7/11, 11/4 to win the Under 15/17 age category. The Girls' Under 13 title went to Eleanor Hind who beat former Under 11 Champion, Mehar Trehan 11/2, 12/10, 11/4. While Karan Dhiman took the Boys' Under 19 title in a round-robin contest which culminated with him beating his namesake, Karan Chatani 11/9, 11/1, 11/2 .